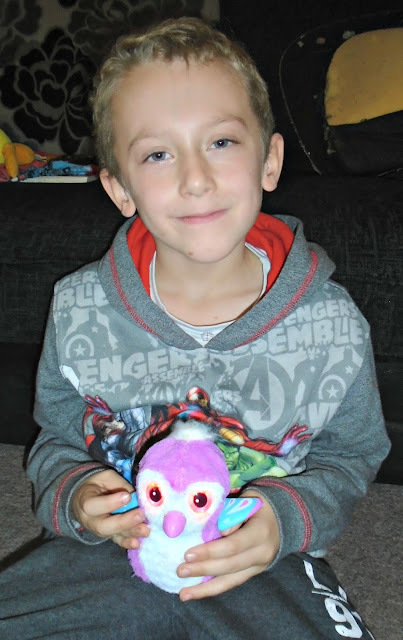 Its one of the most talked about toys in the run up to Christmas this year and has already begun topping the Christmas lists of children everywhere, of course its Hatchimals! These cute interactive magical creatures live inside their egg until you interact and play with them, enabling them to hatch and you can meet your surprise creature being held within the egg. We actually hatched our egg live over on our Facebook page so if you want to watch head over to our Facebook page and watch our live Hatchimal egg hatching video. Hatching your Hatchimal is pretty simple and lots of fun. The whole process can take anywhere between 20 and 30 minutes and requires you to interact with your Hatchimal during this time. 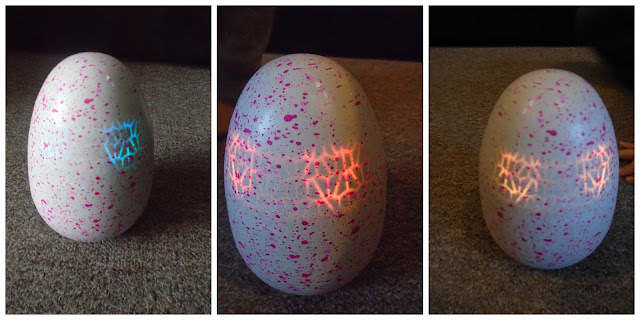 Whilst your Hatchimal is still in its egg you will see its eyes lighting up. These lights are an indicator to how your Hatchimal is feeling and how you can keep it happy. Inside the box you will find a booklet which will tell you what each colour means and how to react to keep this to hand when you are hatching your Hatchimal. 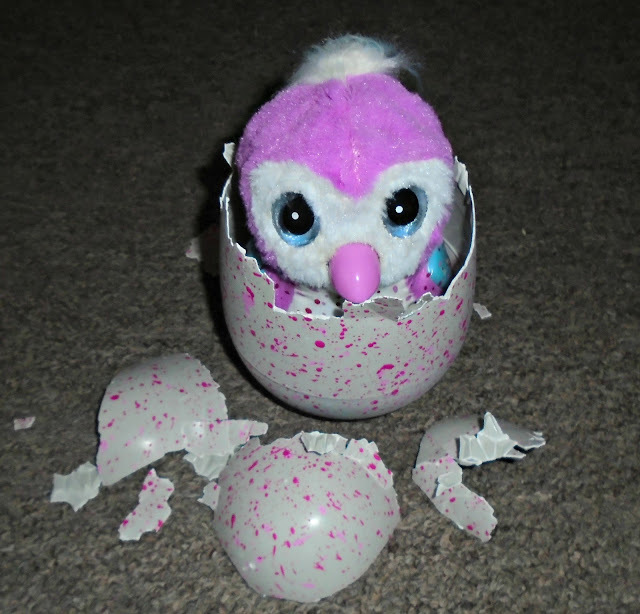 After a little time your Hatchimal will begin to start pecking at the egg, its important your Hatchimal is placed on the floor whilst it is pecking and this will be indicated by a white/rainbow light shining from inside your egg. Your Hatchimal will continue to peck around the middle of the egg until cracks have formed all around the outside. 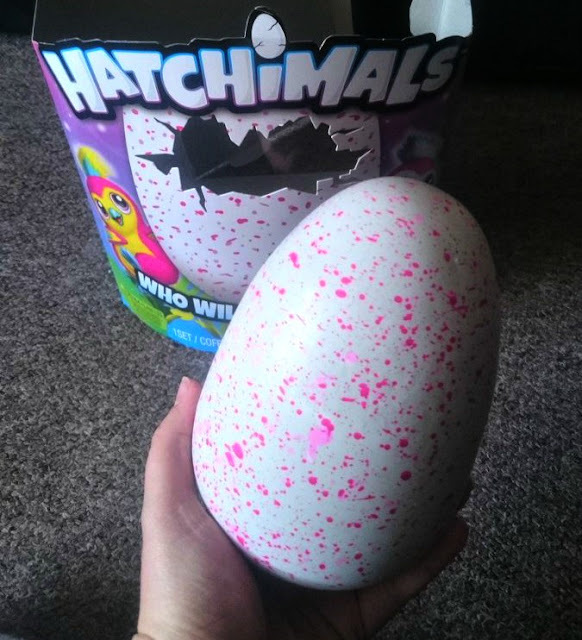 At this point you can give your Hatchimal a helping hand coming out of the egg by carefully peeling away the top section of the egg. Now you can finally discover which Hatchimal you have hatched! Once your Hatchimal has emerged from its egg it will sing a HATCHY BIRTHDAY song! I have to admit I was a little skeptical about how much the kids would play with our new little hatched friend once the excitement of the egg hatching was over but I didn't need to worry they love our new Penguala friend. Once your Penguala or Draggle has hatched it will go through 3 stages baby, toddler and kid. As your new Hatchimal moves through the stages it will interact with you doing things such as walking, talking, dancing and even repeating back things you say in its own voice. Our Hatchimal has recently started dancing which the kids love to watch, its such a fun interactive toy which really appeals to the kids. I know that since Hatchimals are so sought after this Christmas stock has been pretty limited but don't forget you can keep an eye on stock at your local Argos store where you can reserve online and check stock in all your local stores regularly with ease. To check Hatchimal stock at your local Argos visit the Argos website (I have popped links below to a Pengualas and Draggles egg via Argos so you can easily check stock). After hatching our very own Hatchimal I can confirm that this toy has been a big hit! It was so exciting watching our Hatchimal pecking its way out of its egg and building up all our suspense to meet our Hatchimal. Once it had hatched the kids loved nurturing and caring for their new Penguala and trying to keep her happy and meet her needs. The dancing and games you can also play with them are lots of fun too. 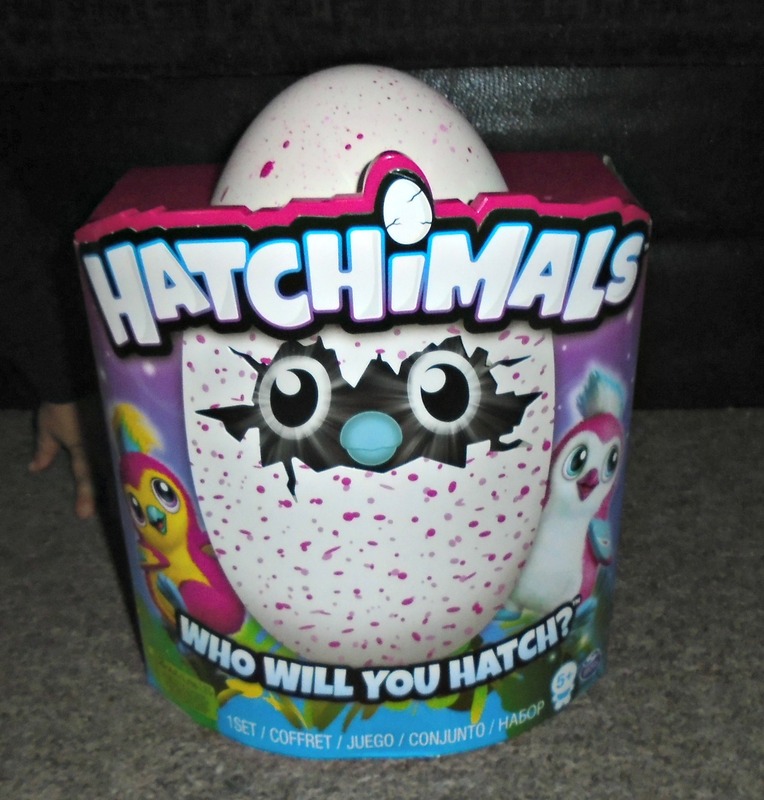 Has your little one asked for a Hatchimal this year? Which one are they hoping for a Pengualas or Draggles Egg?